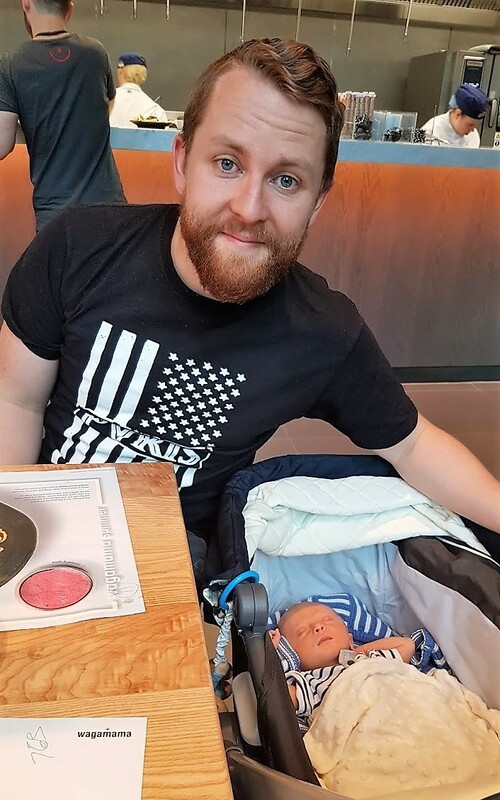 Our first restaurant experience since baby was born a month ago, it was so nice to be invited to the new Wagamama venue at St Peter’s Square (the 5th one to open in/around Manchester) to try out the new summer menu for my blog. On a sunny Monday evening Tom and I met James after work and were greeted by the friendly staff as we entered the light, bright new spot situated behind the busy tram stop (prime location). 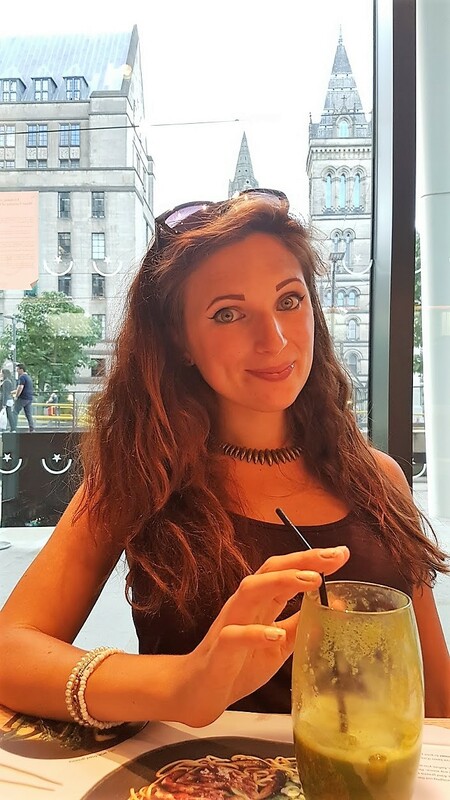 I’m always impressed when the staff are knowledgeable about the items on the menu and are clued-up on allergies or intolerances; Wagamama’s policy is accommodating and taken seriously without alienating or making it difficult to order, plus everything is freshly made so it can be easy to swap ingredients out for alternatives which is always a bonus! 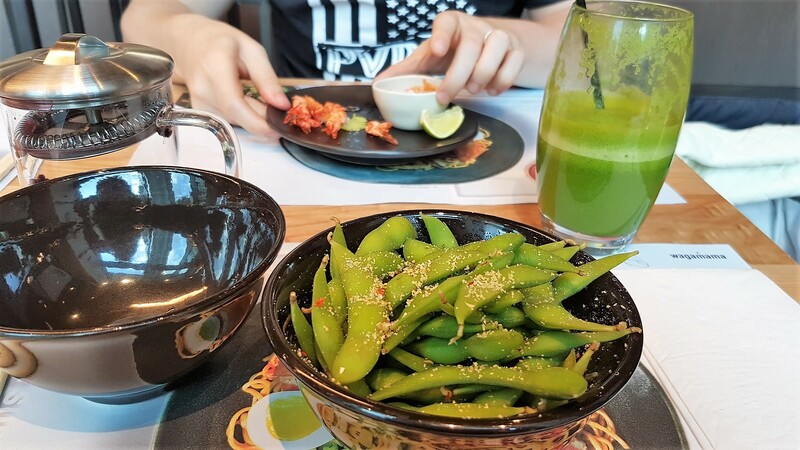 A staple when we come to Wagamama, we usually go for edamame beans with salt but this time we tried them with chilli and garlic which took them up a notch: The sweetness of the garlic, salt and heat from the chilli complimented the beans wonderfully. 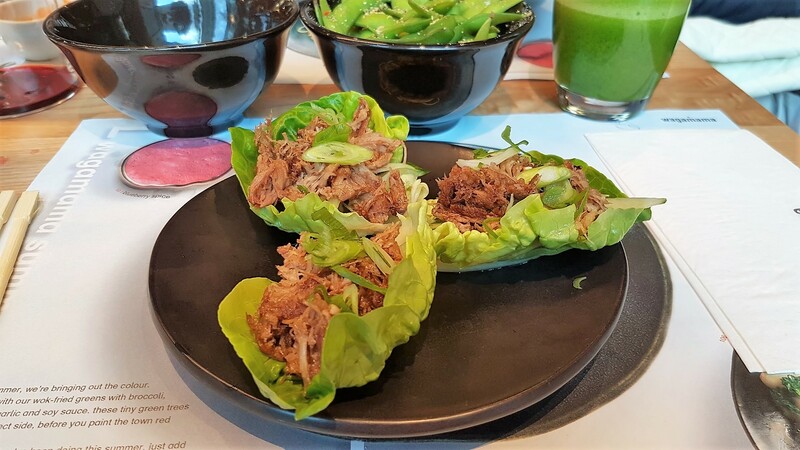 The wheat-free option of serving the shredded crispy duck wraps in lettuce leaves with cucumber and spring onions went down a treat. Each one packed with a generous portion of meat, the lightness of the lettuce leaves balanced out the strong flavour while the saltiness of the tamari was the ideal finishing touch to another simple but well-made dish. The new beef tataki had sadly sold one (once it’s gone, it’s gone!) so instead James went for the lollipop prawn kushiyaki: ‘Skewers of grilled prawns marinated in lemongrass, lime and chilli, served with fresh caramelised lime.’ These aren’t wheat-free but his feedback was positive – tangy, sweet, spicy and hot with a light, crisp coating and full of flavour. 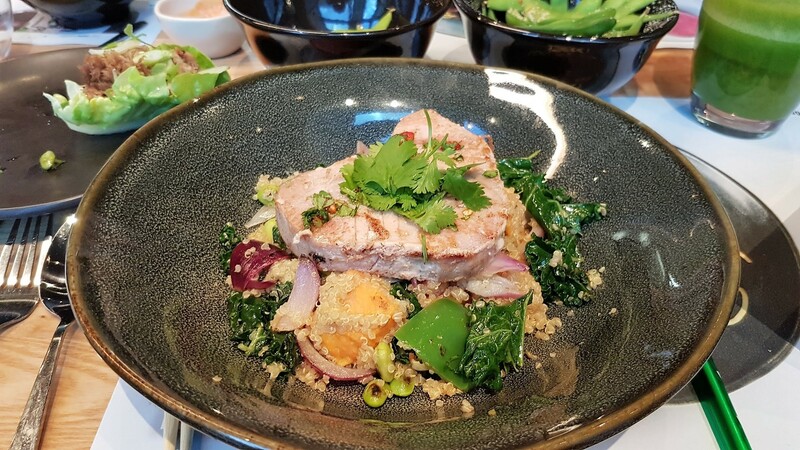 Spotting the new Seared Nuoc Cham Tuna dish on the menu served with quinoa, stir-fried kale, sweet potato, edamame beans, red onion and pepper and garnished with coriander, this won me over immediately and didn’t disappoint. 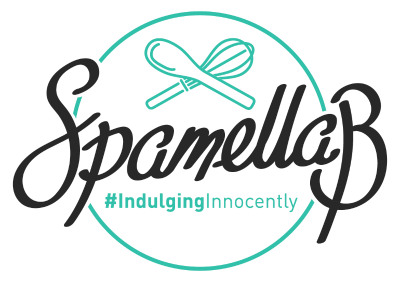 All the components came together in a light but flavoursome way and made an ideal accompaniment to the perfectly cooked tuna steak. I added some extra Sriracha sauce which spiced things up a little, just how I like it. Following recommendation, James tried out the new Samla Curry – ‘A fragrant, spicy lemongrass and coconut curry with peppers, shiitake mushrooms and baby plum tomatoes served with white rice and garnished with spring onions, chilli and coriander.’ His verdict was an explosion of elements which resulted in a delicious creamy but spicy curry crammed with chunky vegetables and generous chunks of good-quality meat; it would work well as a vegetarian dish. 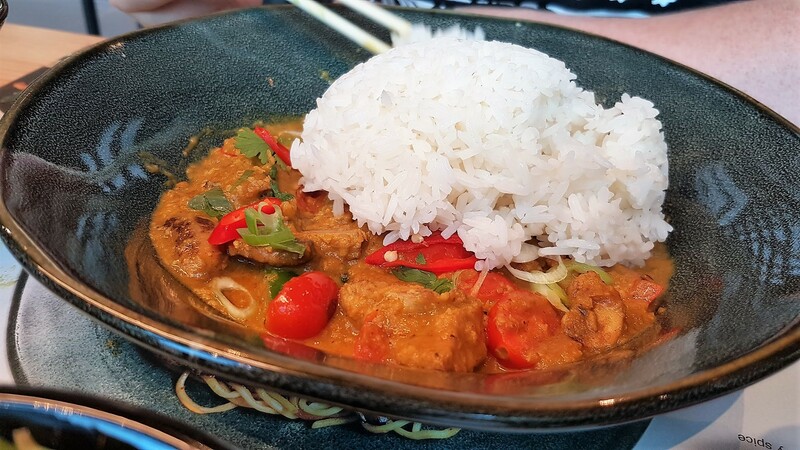 The rice was cooked perfectly to soak up all the juices – another dish that was relatively simple but done well. 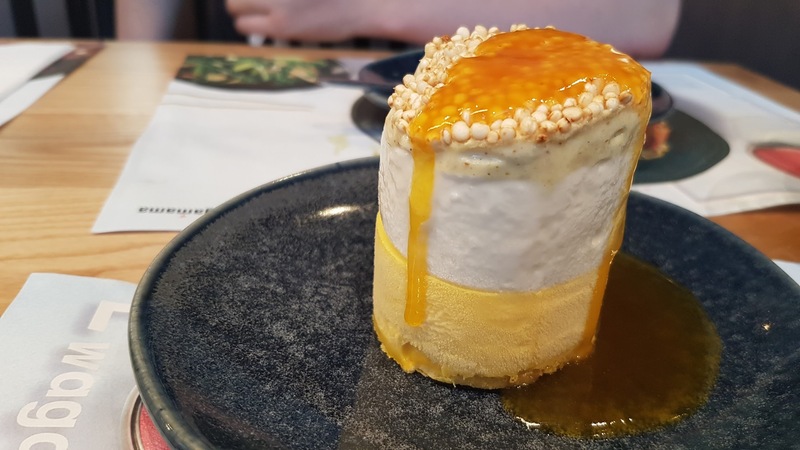 Although we were full (the portions at Wagamama are decent) it would be have been a crime to not try some of the sweets, not when Spiced Mango & Coconut Parfait topped with puffed quinoa and passion fruit coulis caught my eye. 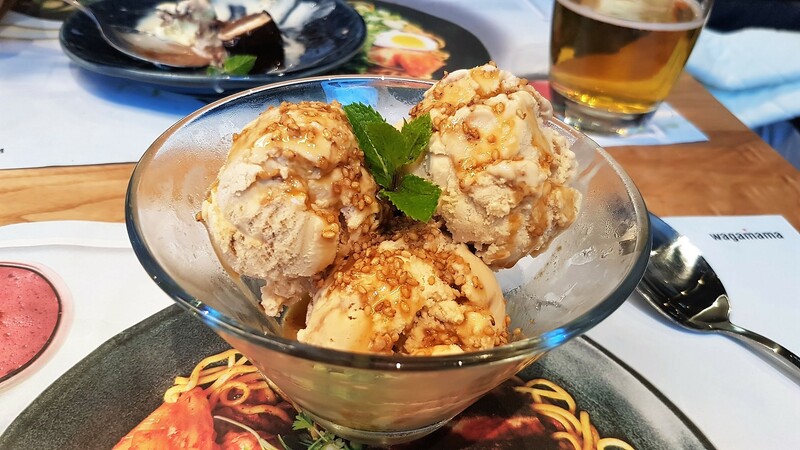 Refreshing, creamy, fruity and just the right amount of sweetness – this represents summer on a plate. 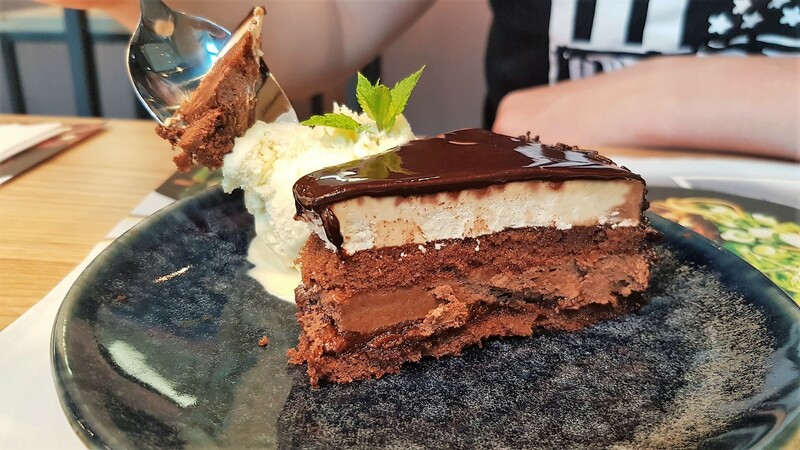 James was perfectly happy with the Chocolate Layer Cake, an improvement on the original recipe which was made up of layers of chocolate sponge, dark chocolate parfait and hazelnut cream, served with vanilla ice cream. Another winner that got the thumbs up. 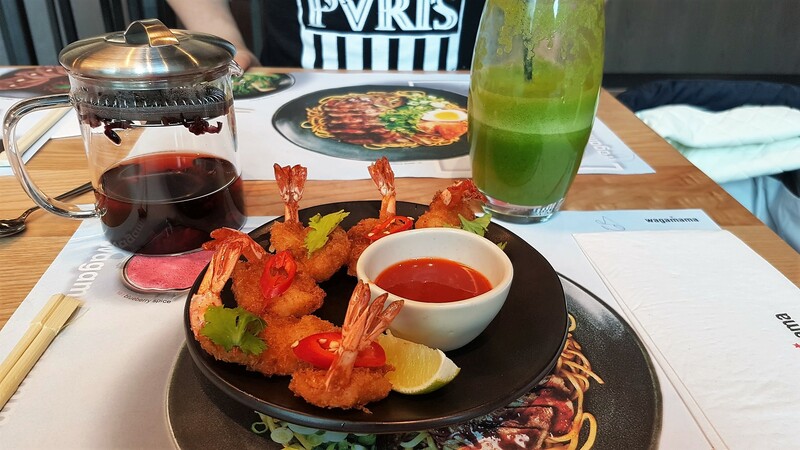 On a health kick, James sipped the Positive juice, a refreshing and vitality-boosting combination of pineapple, lime, spinach, cucumber and apple, while I enjoyed a warming red berry and hibiscus tea.